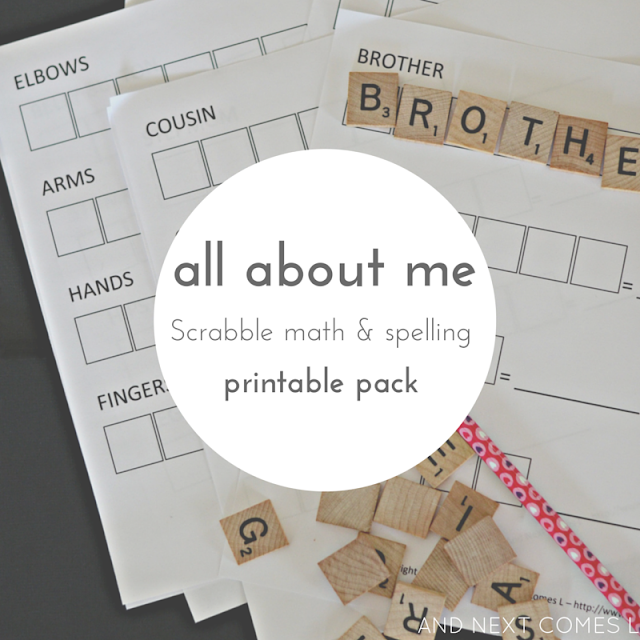 A collection of 60 all about me themed words to spell and add! Scrabble math activities are great for working on spelling, math, reading, writing, vocabulary, and more. Simply spell the words using Scrabble tiles and add up the numbers! This all about me themed pack focuses on body parts, family members, the five senses, and the clothing that we wear.